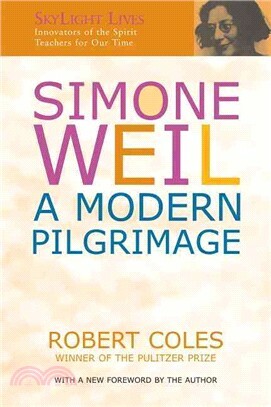 Simone Weil (1906-1943) was a writer and philosopher who devoted her life to a search for God—while avoiding membership in organized religion. She wrote with the clarity of a brilliant mind educated in the best French schools, the social conscience of a grass-roots labor organizer, and the certainty and humility of a mystic—and she persistently carried out her search in the company of the poor and oppressed. Robert Coles's study of this strange and compelling figure includes the details of her short, eventful life: her academic career, her teaching, her political and social activism, and her mystical experiences. Coles also analyzes the major themes her life encompassed: her politics, her Jewish identity, her moral concerns, her intellect, and her experience of grace. This is the best, most accessible introduction to the woman who was a spiritual influence on the life and work of so many, among them T. S. Eliot, Flannery O'Connor, Adrienne Rich, and Albert Camus. Robert Coles, M.D., was awarded the Pulitzer Prize for his five-volume Children of Crisis series. He is Professor of Psychiatry and Medical Humanities at Harvard Medical School and the James Agee Professor of Social Ethics at Harvard University, and is the author of many books, including The Spiritual Life of Children, The Moral Life of Children, and Dorothy Day: A Radical Devotion.